A beautiful updated executive family home with 5 bedrooms & 3 baths is waiting for you. 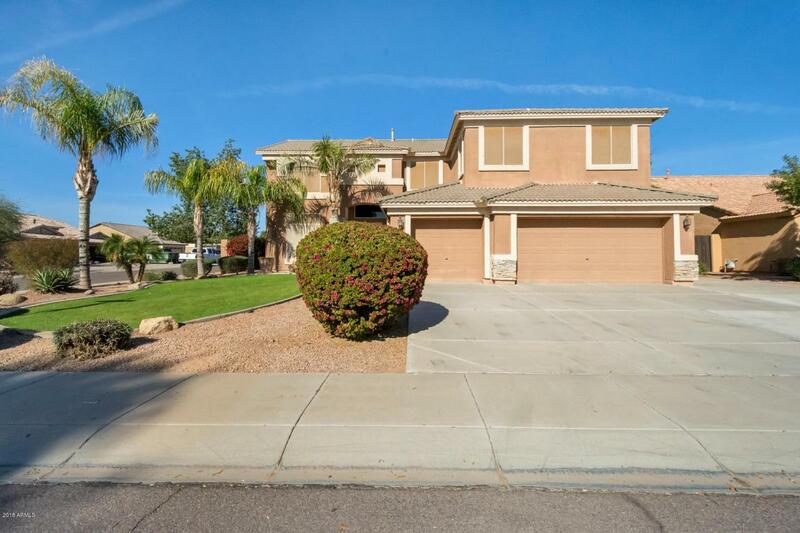 The 1st floor has a large family room, living room, formal dining room, eat in kitchen that has been remodeled with a large kitchen island/breakfast bar, granite counter tops, upgraded cabinets, sit down breakfast area and a large walk in pantry. There's also a bedroom & bath on the 1st floor. 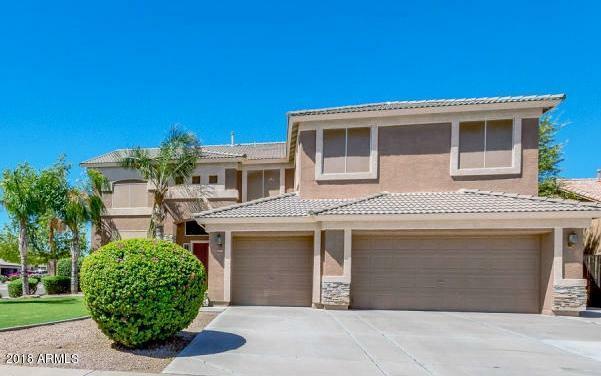 So many upgrades, 18 inch tile, custom paint, ceiling fans, baseboards, crown molding, & an R/O system are just a few things that make this home move in ready. 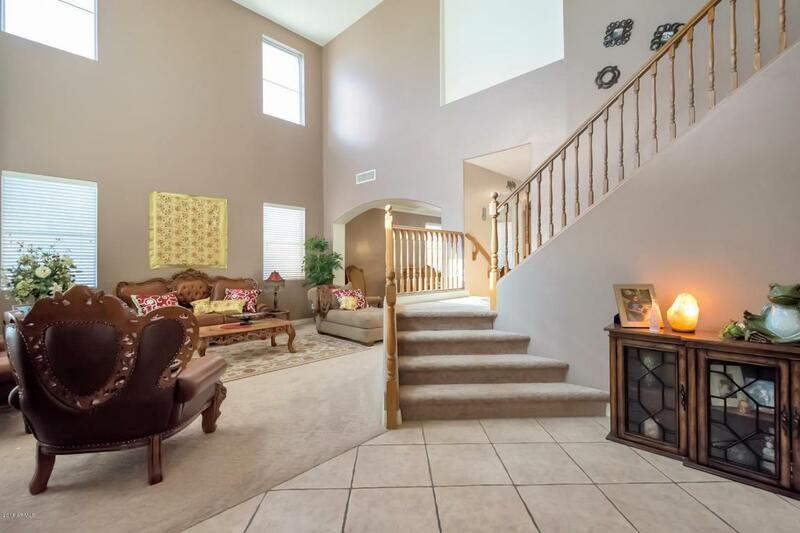 Leading to the second floor you will find a sweeping two way staircase, a large master suite with separate tub & shower, double sinks, his/hers walk in closets, plus a large game/recreation room. 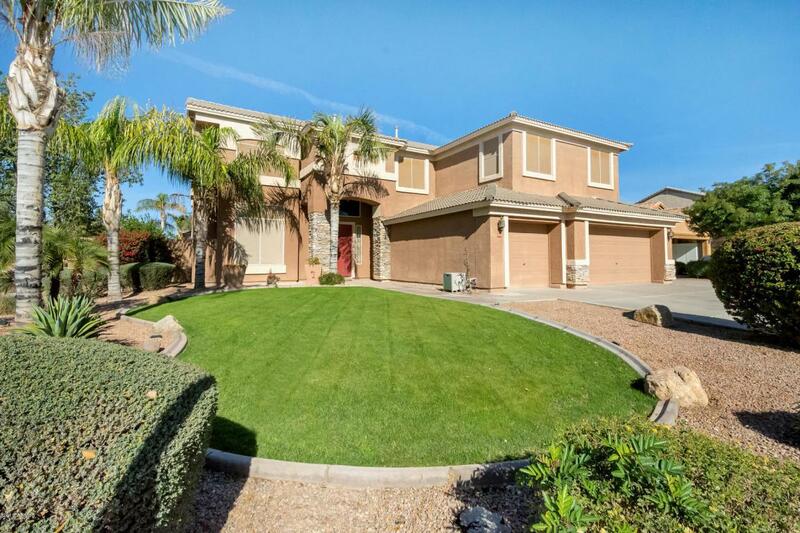 The back yard boasts a covered patio, sport court, & storage.